along with the launching of All New Sienta, i had this amazing chance to be a part of the fun vibe. 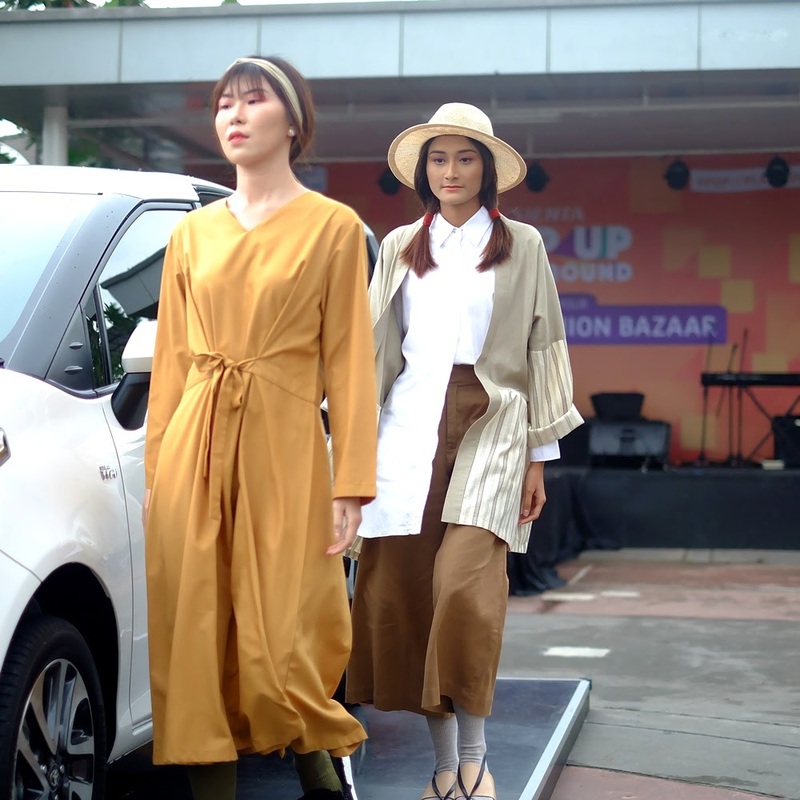 not like the ordinary car-launching, it brought up "Unlock Your Weekend Fashion Bazaar" POP UP PLAYGROUND with loads of music, a hint of fashion, and many other great things to do. held last Saturday at Flavour Bliss Alam Sutera, a packed of fun - stylish folks were hanging around this super eye-candy car. they called themselves "All New Sienta" and practically have so many things to offer. "modern, active, and fun" - the idea that passed my mind when i first saw All New Sienta. despite of its sophisticated features, this family-friendly car has 7 seaters to accommodate your whole crew. it also has a spacious space to fit your necessities. at the event itself, i found many interesting things to catch up. first thing first, there is a photo competition with tons of tempting gifts. my girls and i would definitely not miss the opportunity (just because we love to be in the frame - duh), so here are a few shots you'd like to (at least) see. then, my favourite moment appeared as these young, pretty girls started to show off a catchy collection by Lustig. the good thing is, we can purchase the collection directly at the POP UP PLAYGROUND itself. there are a few booths (including the ones that involved in the fashion show) that showcase handmade, unique fashion stuffs. to complete the day, the crowd was warmed up with good tunes from top singers like Lala Karmela and Audrey Singgih. not to mention that there are familiar faces of actress and influencers who came to enliven the event. names like Diana Rikasari, Elle & Jess Yamada, Olivia Jensen, and Alice Norin are only a part of the big IT list. all in all, this event was a blast. i had tons of fun and i believe everyone felt the same thing!